Millennium 7 Publishing Co.: Start-Up Stand Out Social Media? 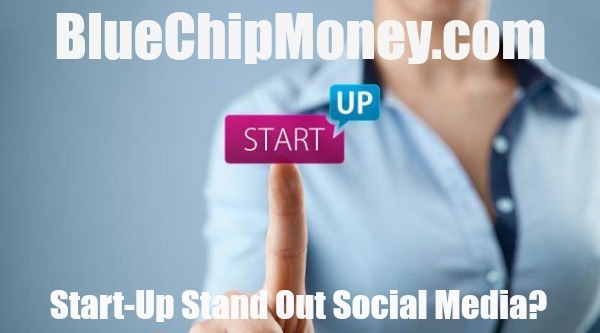 Start-Up Stand Out Social Media? Startups come and go in today’s world of business. The simple fact is that 90% of new startups will fail. The reasons are complex and numerous, but one of the most prevalent causes is a lack of brand growth and exposure. People simply don’t know about the startup or their product..
Leveraging the power of social media can provide your startup with the exposure it needs to grow and thrive. Join us as we look at five ways startups can make their mark on social media..
Related Article: Leveraged Social To Grow YOUR Business? The 10% of startups that actually survive have a set of common characteristics that kept them from going under. Modelling these characteristics will give you the opportunity to start on the right foot, but what you do with that start is what matters. According to Psychology Today, research shows that emotional responses to an ad have a greater influence on a buyer’s intent than the ad’s content itself! Building an emotional connection with your customers is far more important than trying to sell them something through sales tactics. The first step in winning the trust and loyalty of your customers is being yourself. People don’t want to see a logo or read some corporate jargon, they want to connect with the people and the passion behind your brand. This is why it’s important to start a blog and create emotional connections. Being honest and true to your customers will ultimately win them over far more than a clever ad ever could. Your business blog, social media accounts, and even your emails are all places where you can tell stories. Today’s top successful startups are leveraging the power of storytelling in their marketing to forge true bonds with their readers and mae them part of the startup’s brand. It’s important to tell stories because people can easily connect with a memorable tale, but it has to be done correctly. You make sure your customer is the sole focus of the story. Create situations where they can place themselves in the character’s shoes. Incredible research has revealed that stories can make our brains think we’re actually experiencing something when we’re just reading about it. A perfect example is when you read about some sort of food in a story. If it’s described well, your sensory cortex lights up as if you were eating it. Furthermore, motion in a story triggers your motor cortex. Our brains can convince us we’re experiencing something when all we’re actually doing is reading about it. This is why you can’t just tell them, you have to show it to them with visuals, video, or a combination of the two. Illustrate how your product can solve a problem they encounter in their daily lives. Don’t tell them how to feel, instead show them through actual images or well-written text. A brand’s voice is a collective way of engaging and speaking to users. Whether it’s on social media, your blog, or even in person, the brand’s voice should be consistent. This is not only how you stand out on today’s social media platforms, but it’s also how you build trust and overcome obstacles. When you first start engaging on social media, you should ensure your entire team is on the same page with how communications should be handled. Depending on your product or service, you should create a chart that everyone can reference when they are interacting on social media. This should be an ever-evolving chart that constantly shifts to meet the landscape of social media and the current environment that your brand is trying to promote. A brand’s voice is always evolving, but consistency is key for building trust. Major corporations tend to have a presence on a lot of social media platforms, which sets a precedent that startups need to meet that goal. Unfortunately, that’s just not possible. It takes teams of people to run multiple social media platforms at once, and that’s not time or manpower that a startup can afford. It doesn’t matter! Your audience isn’t bouncing around social media platforms. They tend to stay with the ones they’re comfortable with. That means that your startup can safely focus on one or two platforms and still find success. Where do your customers typically spend their time on social media? What kind of content are you creating? Which platform would best utilize it? What kind of tools does the platform offer to make your job easier? Which platforms have the best ROI? What kind of features or tools does the platform have for engaging other users? Our final, and perhaps boldest way to stand out on social media, is to host a live event. Live streaming has been huge ever since Facebook Live launched. With the press of a button, you can instantly connect your brand with your customers on social media. Whether it’s a new product unveiling, a behind-the- scenes look at your company, or something else entirely, hosting an event like this can garner huge results for a startup and bring countless people into the fold. A perfect example is how Tastemade brought tiny kitchen cooking to the masses with their live broadcast. As of this writing, the archived video has over 45,000 likes and 18,000 shares! Many of these people had never heard of tiny cooking before this video, myself included. It shows the power of going live and harnessing the excitement of the moment. This is something startups can easily tap into for huge returns. Guest Authored By Matt Banner. Matt is the Founder of OnBlastBlog. Follow Matt on Twitter. “Startups and social media are a match made in heaven. The power of these platforms to reach your audience is unparalleled. You just need to know how to reach them.